V.I.P. has been arranging private party and pension plan trust deed investments in California since 1976.
with us for a decade or two and numerous references are available on our company and officers. A fractionalized loan is one where several or many lenders are grouped together to make one loan. V.I.P. has never offered and will not offer you a fractionalized trust deed. Our philosophy is that this practice, though easy for the broker, can be extremely dangerous for the lender. A separate article on “The Dangers of Fractionalized Trust Deeds” is available RIGHT HERE. Your trust deed investment in California property comes in the form of a promissory note secured by a deed of trust with a title insurance policy insuring your position as a trust deed holder. Your name will be added to the fire insurance policy on the property, insuring you in case of fire. Our in-house escrow service assures fast and efficient loan processing. V.I.P. 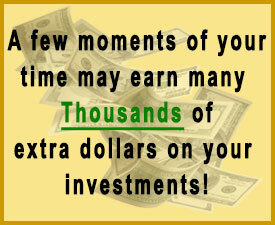 Trust Deed Company will service this investment during its lifetime. Payments are normally made on a monthly basis; checks sent to you will have a complete breakdown of principal, interest, remaining balance, etc. Checks are mailed weekly. V.I.P. is a member (or has been a member*) of most major mortgage institutes, including California Mortgage Association (CMA), California Trustees Association (CTA), National Association of Real Estate Appraisers, California Independent Mortgage Broker Association (CIMBA)*, Mortgage Institute*, California Trust Deed Brokers Association.